The cadence and resolution of solar images have been increasing dramatically with the launch of new spacecraft such as STEREO and SDO. This increase in data volume provides new opportunities for solar researchers, but the efficient processing and analysis of these data create new challenges. We introduce a fuzzy-based solar feature-detection system in this article. The proposed system processes SDO/AIA images using fuzzy rules to detect coronal holes and active regions. This system is fast and it can handle different size images. It is tested on six months of solar data (1 October 2010 to 31 March 2011) to generate filling factors (ratio of area of solar feature to area of rest of the solar disc) for active regions and coronal holes. These filling factors are then compared to SDO/EVE/ESP irradiance measurements. The correlation between active-region filling factors and irradiance measurements is found to be very high, which has encouraged us to design a time-series prediction system using Radial Basis Function Networks to predict ESP irradiance measurements from our generated filling factors. 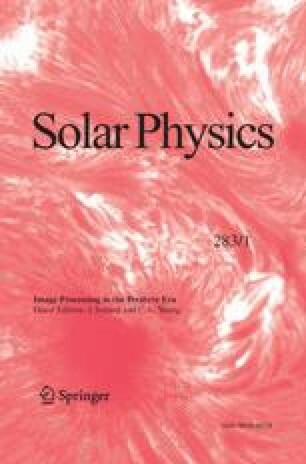 Didkovsky, L., Judge, D., Wieman, S., Woods, T., Jones, A.: 2009, Solar Phys. doi: 10.1007/s11207-009-9485-8.